Avocados are such a strange ingredient – I often buy them when they are on offer and they sit in the fridge never actually getting used. That is exactly how this dish was created. We were looking for something to use up what I had in the cupboard and initially I threw this together. 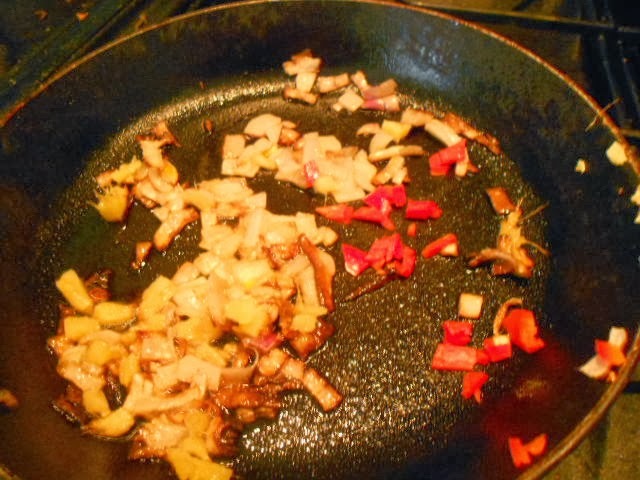 Although we have now had it a few times, having bought the ingredients or saved them on purpose. 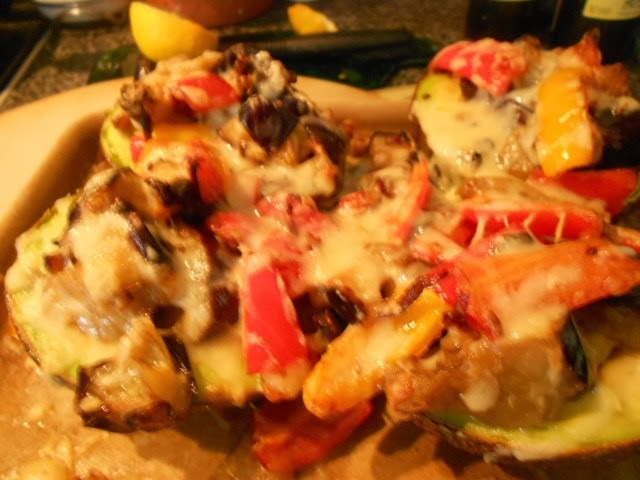 Add in the aubergines and maybe a touch more oil followed by the peppers. 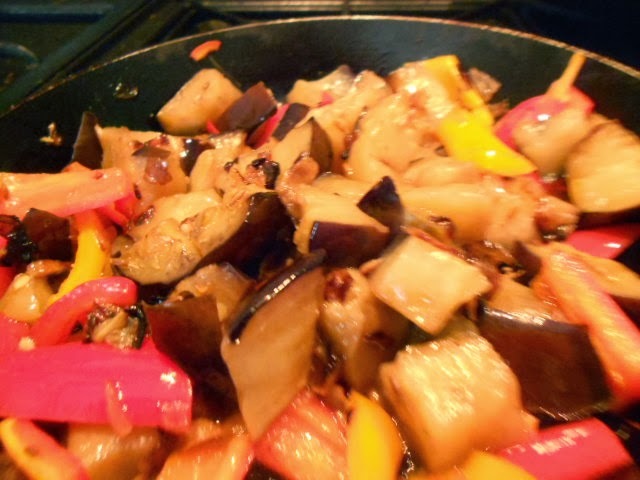 Allow all the vegetables to cook through particularly the aubergines. Mean while cut the avocados in half and take out the stone. Place on a baking tray. 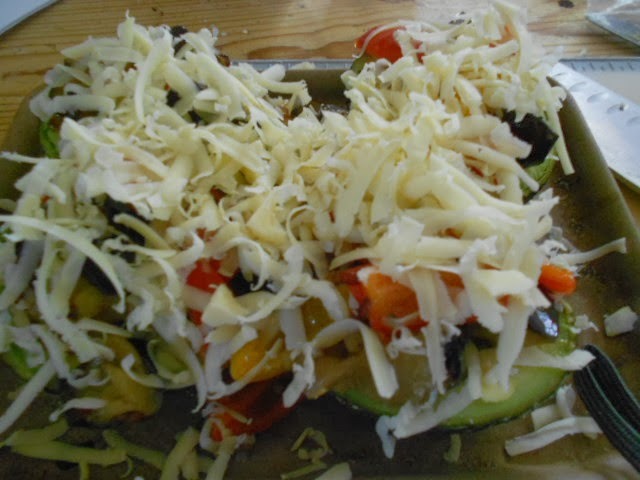 When the stirred vegetables are ready, fill the avocados with the mix and sprinkle liberally with cheese. I used cheddar but stilton would go well with its strong taste. Feta or even parmisan would both be good. 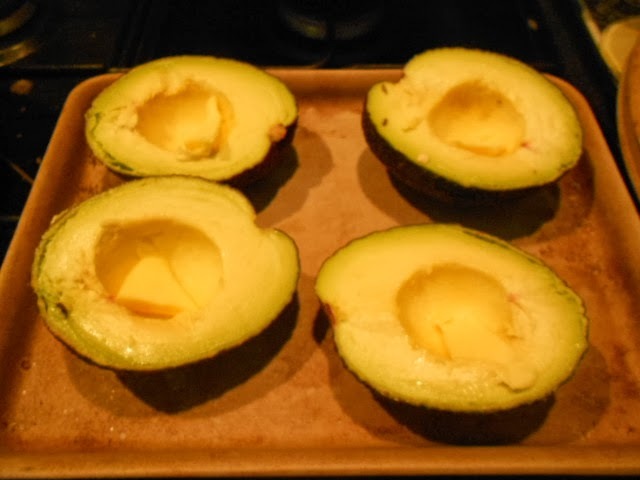 Cook for about 20 minutes in a hot oven – if you cook straight from the preparation you could grill these but I prefer the Avocados to be piping hot all the way through. Bring to the table and serve. We eat this as a complete meal; two half avocados each with a watercress salad. You could serve just one as a starter or even as an accompaniment to cold meats and pickle. 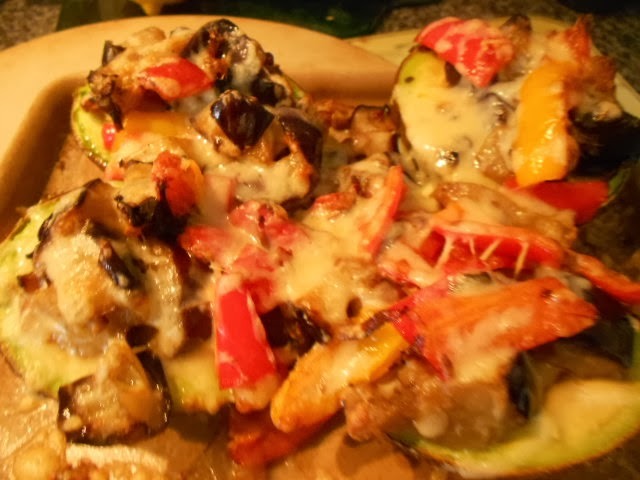 Try it with your cupboard ingredients and see how it turns out like. Let me tell you when I post a blog.